This weekend saw Tattersalls Ireland produce an abundance of high-class winning graduates. 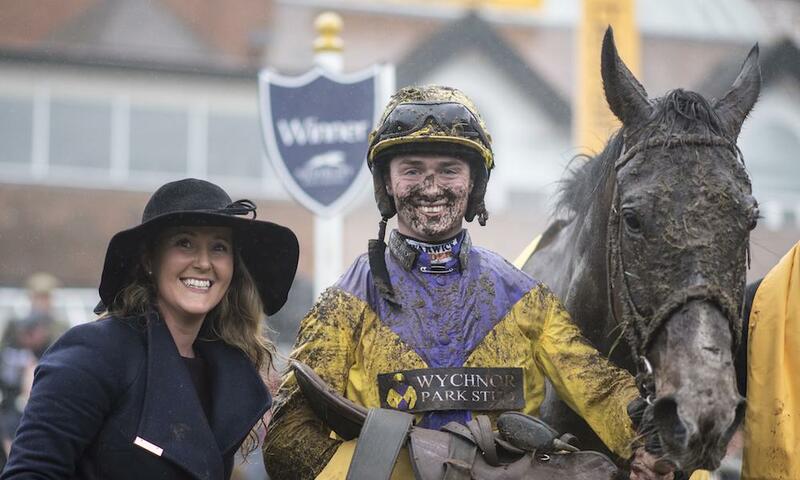 Leading the charge was KALASHNIKOV who gave a superb display to win the Grade 3 Handicap Hurdle at Newbury providing young trainer Amy Murphy (pictured below) with her biggest career success to date. The five-year-old was purchased by Paul Murphy for €35,000 at the November National Hunt Sale from his breeder Sunnyhill Stud. NATIVE RIVER (pictured below) returned to Newbury after 330 days off and showed he was back to full form and on target for the Gold Cup when winning the Grade 2 Betfair Denman Chase at Newbury for a second consecutive year. Trained by Colin Tizzard for Brocade Racing, NATIVE RIVER was sold by his breeder Mr Fred Mackey at the November National Hunt Sale for €6,000 to John Dineen. Winning by 11 lengths, four-year-old ACEY MILAN took the Listed Bumper at Newbury for trainer Anthony Honeyball. The Tattersalls Ireland graduate was purchased by Bryan Murphy at the November National Hunt Sale from Milltown Park Stud for €11,500. The Listed Novice Hurdle at Punchestown was won by HARDLINE, under the guidance of Davy Russell for Gordon Elliott and Gigginstown House Stud. The six-year-old was purchased by Hugh Bleahen for €20,000 at the November National Hunt Sale from Jamestown Consignment. FOLSOM BLUE (pictured below) produced a thrilling finish at Punchestown to win the Grade B Grand National Trial Handicap Chase at Punchestown, giving the Elliott/Gigginstown House Stud team a double on the day. FOLSOM BLUE was sold by Fortbarrington Stud for €40,000 at the November National Hunt Sale to John Lightfoot.